Michael Geist, Duncan Bucknell and Warwick Rothnie are reporting on a G20 agreement on a World Intellectual Property Court under the aegis of WIPO, the website of which is modestly silent on the remarkable development. The story was apparently first reported by the redoubtable IPKat at 120:01 today, GMT. It appears to have been confirmed by the normally reliable and well informed IP-Watch site at1:07 AM in an article by William Mew. G20 insiders have indicated that the proposed court is to be overseen by a panel of influential and internationally respected jurists in the field of intellectual property, of whom Senor Ignacio P. Gato has been touted as a possible candidate. Prof. Dr. Dr. jur. Wilhelm Neu is also among the contenders, as the Eastern jurist Dun Kan Buc Nel. Sadly, despite this historic achievement, there are reports of the inevitable jostling for position amongst the Americans, Brits, French, Germans, Chinese and even WIPO itself as to where the Court should be located or who should be the presiding chair. At this late hour, I am unable to confirm speculation that Canada has offered the facilities of its Copyright Board, where the well equipped hearing room is presumably available for prolonged periods of time, according to the the Board's schedule. Actually, I suspect that the first chair of this tribunal is likely to be Prof. Felix Tuft, shown presiding on a particularly complex case here, and who is a renowned expert on various pertinent treaties. CIPA is pleased to announce that its next Ottawa Roundtable will focus on the future of public broadcasting in Canada. Set in the context of the current global economic circumstances, the deepening of the electronic age, changing demographic patterns, and the current political climate, the evening will focus on the current and evolving role of Canada’s national public broadcaster. Leading the discussion will be Mr. Hubert T. Lacroix, President and CEO of the Canadian Broadcasting Corporation/Radio-Canada. Prof. Christopher Waddell, Carty Chair in Business and Financial Journalism at Carleton University and former parliamentary bureau chief for CBC Television News, will serve as moderator. There will be lots of opportunity to ask questions. Riding through the Glen to the Supreme Court of Canada? Michael Geist has blogged about a controversial decision involving controversial parties that seems to suggest that, in Ontario, a plaintiff can get disclosure of the email address, IP addresses, etc. of anonymous posters to blogs or websites, basically by filing a statement of claim and naming the posters as named John Does. Judge Stanley Kershman rejects the need to establish a prima facie case. He also rejects the application of the even lower "bona fide" claim test in BMG, which, of course, as an important appellate decision on rights of John Does to privacy. (Yes, I was involved). There is no discussion of the substance of the current case other than a brief statement by the Court that "in the case before the court, we are dealing with an anti-hate speech advocate and Defendants whose website is so controversial that it is blocked to employees of the Ontario Public Service." The plaintiff is the controverisal Richard Warman, who has been a complainant in many human rights cases and plaintiff in several defamation actions. The case concerns the controversial website freedominion.ca. Nobody would suggest that online privacy is absolute. Clearly, in some cases inolving serious criminal behaviour and perhaps even some civil litigation situations, privacy might need to yield to disclosure under carefully measured conditions, such as were articulated in BMG. However, it is disconcerting to think that, by merely by filing a statement of claim against a bunch of John Does, their privacy can be breached without any examination of the underlying case, or the reliability of the identification process. Judge Kersham is basically saying that there is "no reasonable expectation of privacy" in one's IP address. If that's the case, there are profound implications for freedom of expression in Canada. Hard cases can make bad law. Regardless of where one's sympathies may lie with the parties in this instance, it rather looks like an appeal of this decision might be a good thing. New Zealand is hardly a major world power. It's population is only 3.9 million and its GDP is only USD $98.9 billion at last report. But it is a highly respected, innovative and fiercely independent common law nation. Its decision to quickly repeal a "three strikes" internet copyright regime even before it could come into effect is getting a lot of attention, since it could empower other countries to stand up to the lobbying of the USTR and its corporate stakeholders. For MSM coverage, see the LA Times, CBC, and BillBoard. The CBC piece, in particular, notes the potential international ramifications. As expected, though not as all had hoped, the Obama DOJ has weighed in on the side of supporting the constitutionality of statutory damages in the case of alleged downloaders and file sharers. Here's the CNET story by Declan McCullagh who does a great job of neutral and informed reporting on these things. Here's the view and plenty of links from the battling bloggers, Ray Beckerman (who has sought to file an amicus brief) and Ben Sheffner. Here's the DOJ brief. While it's thoughtful and thorough in some respects, the very fact that is was even filed is bound to raise eyebrows. Two of the top officials in the DOJ appointed by Obama were formerly top private sector lawyers for the RIAA. Even if they had no dealings with the present filing, which I would hope and assume is the case, their former activities are are bound to be raised and have already been raised in the foregoing links. One case that nobody seems to want to touch is last year's SCOTUS decision re Exxon Valdez, wherein punitive common law damages (NOT statutory minimum damages) were capped one to one with compensatory damages. Many thought that this was much too low under the circumstances (see above). Ironically, tomorrow is the 20th anniversary of the disaster. Here's the Exxon Valdez decision. Note the obiter dicta discussion at p. 38-39, which refers to treble damages in patent cases - and notes that the purpose of such damages is to encourage private enforcement. In the Tenenbaum case, if one assumes that SONY's actual loss is some portion (say half) of the 70 cents it would have received from a $0.99 iTunes download, the $750 minimum under the statute is more than 2,000 times its actual loss for a lost sale to the defendant, assuming a lost sale. As to imputed value from "sharing", assuming that the case can be made out, there is probably no proof that there was any sharing with anyone other than the RIAA investigator. Should Joel be the lightning rod for millions of others? What level of minimum damages is necessary to encourage private enforcement, without crossing over into the criminal or otherwise unconstitutional realm, especially when millions of non-commercial individuals may be engaged in thousands of "infringing" acts each? While computers were not unknown in 1976 when these provisions were passed, these were then mainframe and other large scale computers not available to ordinary people. The concept of the internet, the celestial jukebox, and the possibility of litigation against thousands of individuals who have no commercial intent surely was not in Congress's mind even when it upped the ante to $150,000 per work from $100,000 in 1999 for those who "willfully" infringe, whatever that means. The amounts have gone up since 1976 but the concept hasn't changed from the mainframe days. Here's a useful debate moderated by Doug Lichtman in which Charlie Nesson attempts to respond to Lichtman's pointed questions. The best comment is probably by Prof, Sharkey at about the 50 minutes mark. It takes a brave Government to admit a recent mistake - although in this instance the legislation was passed by the previous Government. So it was a bit easier. But still brave. The NZ Prime Minister has announced that the controversial s. 92 A "three strikes" copyright provision will be scrapped. Amid intense lobbying in the European Parliament next Monday's vote on the proposal to extend the term of copyright has been struck off in a shock move. Following a meeting of the presidents of the political groups in the European Parliament on Tuesday, and with controversy and a lack of consensus surrounding the proposal, MEPs have delayed voting till the end of April - just before this summer's European elections. A trialogue discussion between the European Commission, Council and Parliament, set for the end of March, will now attempt to broker a deal to see if the directive will be allowed to pass. Prof. Martin Kretschmer has had a lot of useful things to say about all of this recently in The Telegraph. This is not necessarily a victory for opponents of the term extension. Sources suggest that there is a danger of a "compromise" deal that would still result in a 70 year term. Wow - the USA does seem to take DRM and TPM seriously! It seems that President Obama gave UK PM Gordon Brown a gift of 25 classic American movies on DVD. The trouble is that they were region coded for North America only. So Gordon Brown couldn't watch Psycho or any of the others. Who knows where this will lead? HT to Cory Doctorow at Boing Boing and a prominent Washington lawyer. President Obama made $2.5 million last year from his two popular books. And he has other big publishing plans, as is being widely reported. Somehow, I don't think that he's about to quit his day job. But I wonder whether this will lead him to believe that, if copyright is good, even more of it must be better. Organizers are also suing Coast2Coast for breaching copyright legislation by using the words Vancouver 2010 and Vancouver 2010 Olympics. Without seeing the statement of claim, it rather sounds to me like the reporter is using the word "copyright" rather carelessly, as many reporters do. I strongly suspect that the law suit is based on the special sui generis statute known as C-47, which is a very twisted version of trade-marks law, if anything. The other strange story is entitled Sita Sings the Copyright Blues, wherein it is reported that a film maker named Nin Paley reportedly paid $50,000 for what presumably is a synch license for some music, allowing for the production of 5,000 DVDs. That's $10 per DVD, an absolutely astonishing amount. The film maker is trying to raise money to get this back. All very strange indeed. 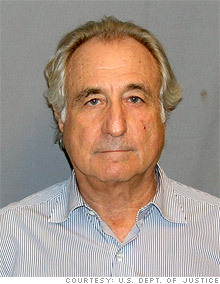 Q: What do ASCAP and Bernie Madoff have in common? A: The US federal prosecutor going after Bernie Madoff used to do work for ASCAP. His name is Marc O Litt. And O is his middle name - not his initial. As if Amazon hasn't had enough troubles lately with its Kindle 2 product, it has now been sued for patent infringement of this patent by Discovery Communications. The patent in question was filed for in 1999 and issued in 2007. The invention, electronic book security and copyright protection system, provides for secure distribution of electronic text and graphics to subscribers and secure storage. The method may be executed at a content provider's site, at an operations center, over a video distribution system or over a variety of alternative distribution systems, at a home subsystem, and at a billing and collection system. The content provider or operations center and/or other distribution points perform the functions of manipulation and secure storage of text data, security encryption and coding of text, cataloging of books, message center, and secure delivery functions. The home subsystem connects to a secure video distribution system or variety of alternative secure distribution systems, generates menus and stores text, and transacts through communicating mechanisms. A portable book-shaped viewer is used for secure viewing of the text. A billing system performs the transaction, management, authorization, collection and payments utilizing the telephone system or a variety of alternative communication systems using secure techniques. This comes at more or less the same time as Amazon is invoking the DMCA against an entity that provides software to enable the use of ebooks from other vendors on its Kindle products. Who was it who said something about promoting "the progress of science and useful arts"? In the increasingly stranger than fiction case of Sony v. Tenenbaum, Harvard Professor Charlie Nesson has filed a Notice to "apologize" for not withdrawing his motion to compel deposition of the ubiquitous Matthew Oppenheim. Calls to scrap the controversial new internet copyright law are increasing ahead of the Government's March 27 deadline for a decision on its future. United Future leader Peter Dunne, the minister of revenue, today compared it with the ill-fated Electoral Finance Act (EFA). "The EFA arguably started out with good intentions but those became overwhelmed by the impracticalities of the legislation," he said on Radio New Zealand. "In the end it became a pariah, it literally brought a government down and Parliament has now repealed it. I would have thought we would have learned a lesson." Mr Dunne is the second government minister to oppose the new law. One can only hope that the "lesson" isn't lost on the UK government, the Canadian government, and others that might be entertaining thoughts of such ill-conceived legislation and lobbying visits from such entertainment industry organizations as CRIA and its lobbyists. On Friday the 13th of March, 2009, news came that the UK Government released a new report called Copyright in a Digital World: What Role for a Digital Rights Agency? It can only be described as a rambling and barely comprehensible endorsement of the privatization of copyright policy and enforcement in a way that will pander to the major European and mostly American sound recording and motion picture industries. The document could have been written by IFPI and BPI, with some help from the RIAA nad MPAA. Actually, it probably should have been written by them, because it would at least have been more readable, better edited, more logical and certainly more aesthetically presented. It might have even had some of the usual litany of “piracy” statistics to warn of the imminent collapse of creativity and innovation as we know it, and the diversion of countless millions (or is it billions?) of pounds, Euros US dollars and every other major currency to terrorism. To the extent I can make any sense of this document, it calls for a “Digital Rights Agency” that would be run and funded by the private sector, to which would be delegated a huge range of roles and responsibilities ranging from rights clearance to enforcement. This, of course, would best serve the public interest and ensure that the UK becomes “the world’s favoured destination for creative companies to grow and invest”, according to the Ministers responsible. But we need to be absolutely clear. Although we think that a rights agency of this sort could be a vital step in building an environment in which copyright can be protected and exploited, we are not proposing that Government should set up and run such an agency. This is emphatically not a proposal for a new government regulator. Instead, we are inviting industry to come together to create a body that could tackle those parts of this agenda that are for industry to deal with. In pursuit of that we are happy to work with industry as a convener and a facilitator in this rocess. Oh yes, and ISPs would be required to rat on their most “serious infringer” customers to any individual rights owner. Lots of talk about “Value chain”, “Enablement” and other content industry code words for control and suppression of innovation and access. Talk about protocol blocking and bandwidth limitation. Just what the founders of the internet had in mind, I’m sure. Not. This is consistent with the suggestions for an IP Czar in the USA and some sort of privatized policy making in Canada. Ministers Stephen Carter and David Lammy frankly seem to have lost it lately - and are the laughing stock of such normally IP rights respectful folks as my feline, human and humane friends as the IPKat - who are very derisive about all of this. And last but not least, this document calls for comments by March 30, 2009 - i.e. in about two weeks or so. This must be an emergency on par with the global financial meltdown, in order to warrant such a demand for rapid response. Or perhaps, the Brits have taken a cue from Canada’s current paradigm for disingenuous calls for consultation that consists of setting deadlines that cannot realistically be met and ignoring whatever submissions that somehow manage to be made in any event. This is clearly another example of US based policy shopping, which is imploding in New Zealand, (where even Google has weighed in against the RIAA and MPAA inspired approach) and hopefully will implode shortly in the EU. Jamie Love of KEI reports in Huffington Post that their Freedom of Information Act ("FOIA") request for copies of ACTA documents have been denied by the Obama USTR on the basis of state secrecy. The texts are available to the Japanese government. They are available to the 27 member states of the European Union. They are available to the governments of Canada, Mexico, New Zealand, Australia. They are available to Morocco, and many other countries. They are available to "cleared" advisers (mostly well connected lobbyists) for the pharmaceutical, software, entertainment and publishing industries. But they are a secret from you, the public. Today we received this letter from the White House, Office of the United States Trade Representative. Our FOIA request was denied on the grounds that the documents are "information that is properly classified in the interest of national security pursuant to Executive Order 12958." Here is a link to a PDF of the denial of the FOIA request. 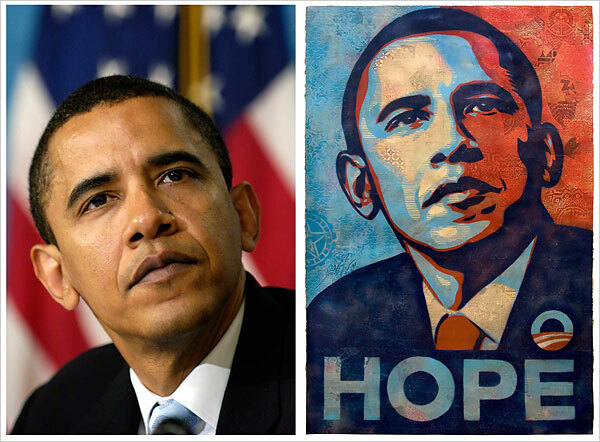 This is very disappointing for those had "hope" for "change" in the way the USTR does business. The issues around Ticketmaster may be a bit more complicated that the press has been reporting lately. Ticket reselling -- also known as scalping -- is an estimated $3 billion-a-year business in which professional brokers buy seats with the hope of flipping them to the public at a hefty markup. In the case of the Neil Diamond concerts, however, the source of the higher-priced tickets was the singer, working with Ticketmaster Entertainment Inc., which owns TicketExchange, and concert promoter AEG Live. Ticketmaster's former and current chief executives, one of whom is Mr. Diamond's personal manager, have acknowledged the arrangement, as has a person familiar with AEG Live, which is owned by Denver-based Anschutz Corp.
And it seems that Cohen's current World Tour is being promoted by the above mentioned AEG Live. There's no suggestion that Cohen has a comparable arrangment to that of Neil Diamond referred to above. But the WSJ story provides addtional insight into how the secondary or resale market works - and doesn't work. This is a very interesting WSJ story and really worth reading. Let's hope that Competition Bureau does a good job on this one. As I mentioned earlier, they initially didn't see any issue until Minister Tony Clement stepped in and told them to investigate. Is Fairey's Use Fair Use? Associated Press has filed its very lengthy Answer and Counterclaim in Fairey's preemptive litigation. Here is is, courtesy of Ray Beckerman. Interestingly, AP has relied to a large extent on allegations that Fairey has made a career out of this sort of thing, and provides several other examples. AP also makes much of its history of photographing Presidents. This is a rather unusual pleading - but this is a rather unusual case. Minister of Canadian Heritage, James Moore, is one of the two federal ministers primarily responsible for copyright revision. He is 32 years old and reportedly very tech savvy. In fact, he uses a PVR and an iPod. Would he be able survive litigation under the current law? Michael Geist doesn't think so. The story is a bit more iffy about what would happen under Bill C-61, if it is ever enacted as it was. But we all know that the bill basically left the actual time shifting habits of most Canadians illegal and took away with the anti-circumvention hand the supposed freedoms it granted with its time shifting gesture on the other hand. Judge Gertner has not only denied a defendant's "Motion to Compel the Deposition of Matthew Oppenheim" - a ubiquitous RIAA lawyer whose role is apparently unclear to some. While the Court understands that counsel for the Defendant is a law professor, and that he believes this case serves an important educational function, counsel must also understand that he represents a client in this litigation -- a client whose case may well be undermined by the filing of frivolous motions and the failure to comply with the Rules. Submission of a plainly flawed motion cannot be justified as a clinical exercise. The Court will not hesitate to impose appropriate sanctions, including potentially substantial costs, should the Defendant waste either the Plaintiffs' time and money or scarce judicial resources by filing frivolous motions in the future. Our Neighbour's Proposed ""Tax on the Performance of Sound Recordings"
The National Association of Broadcasters ("NAB") in the USA is the counterpart of the CAB in Canada. The NAB, not surprisingly, opposed what it calls a proposed "Tax on the Performance of Sound Recordings", otherwise known in Canada as one of several "neighbouring rights." Down there, they don't even like the word "neighboring" as they spell it - but the concept is very much alive and in play in H.R. 848, the "Performance Rights Act", introduced by Rep. John Conyers, a great friend to the music industry. Canada's Copyright Board values these rights essentially as equivalent to classic copyright rights, although in practice they are discounted to about 43% of their counterpart copyright rights due to the "eligible repertoire" requirements that limit liability to pay to rights owners in countries without equivalent protection. The NAB has published an interesting white paper based upon international comparisons, in which Canada is mentioned several times. There's a hearing going on today March 10, 2009 in Washington on this. Interestingly, Stan Liebowitz -a regular witness at Copyright Board hearings in Canada - is testifying, along with Mitch Bainwol and others. Naturally, CRIA, NRCC, the CAB and and others up hear will be watching this with great interest. This is because the implementation of "neighbouring" rights in the USA could lead eventually to the the granting of full or partial reciprocity to the American rights owners, thereby greatly increasing the cost of certain tariffs and exacerbating the outflow of money from Canada and into the hands of RIAA and CRIA members. WIPO is having a "Information Meeting" on IP financing on March 10, 2009. Here's the program. Canada is apparently playing no role in this program, unless some officials are planning to attend. I am frankly disappointed that our Government has not been more involved with WIPO on this issue, considering all the work that the late and lamented Law Commission of Canada ("LCC") did on it, which resulted in a book that I edited which includes contributions from leading experts in Canada, Australia, the USA and UK. This was a great project and I was pleased to have advised the LCC on it. It's a pity that all of the work is apparently being ignored, even by Canada's own government. And for those who want a quick tour of the issue, here's the unofficial version of Chapter 1, which is the version that I presented at the Fordham Conference in 2001. Nonetheless, despite the state of the art work done under the LCC in Canada, officials from CIPO and the Federal Department of Justice are involved with a process at UNCITRAL that has been dealing with these issues for a long time in mysterious ways that don't adequately involve Canadian stakeholders. Unfortunately, although Canada has played a leading role in the work of UNCITRAL through participation of the Department of Justice, there has been almost no consultation back home in Canada. Even when there has been contact, there has not been enough time to react. For example, I received a link to this 541 page document on October 16, 2004 four days before an UNCITRAL Working Group was due to meet along with about 8 other lengthy documents , all of which were dated much earlier in the year. Although I can't speak for the Intellectual Property of Institute of Canada, one might have thought that it - as Canada's leading dedicated IP professional institute - would have had a meaningful role in this process. However, this has not been the case because of the inadequate consultation. All of this is a pity because, as if the issues of IP financing were not important enough anyway, the recent world economic mess makes them even more critical. Many companies may have little left in this economy other than their IP - and IP can be used to unlock credit and to secure financing, and in other creative ways. All of this, unfortunately, is not something that our Government seems to be eager for us to know about or be involved with. The fact that UNCITRAL's efforts have not resulted in hard law or a treaty and are still at the soft or model law stage is hardly comforting. Maybe they should have gone for a treaty approach. Or maybe they will - but it may be too late for Canadian stakeholders to have meaningful input. This is what happened with the 1996 WIPO treaties which morphed from soft model law to a very important and controversial treaty before many people knew what was happening. There are also significant questions as to why UNCITRAL is leading on this issue and not WIPO, but those questions are for another day. As I indicated on January 16, 2009, Canada seems to be lurching ahead on a Canada EU FTA with the EU. There was virtually no time for anyone to provide input before the Government's January 20, 2009 deadline. Clearly, the Government wasn't very interested in public input, having announced the consultation deadline just before Christmas. IP, of course, is on the table in TRIPS + format. Canada can only lose on the IP front overall if IP remains on the table. We will probably have to agree to copyright term extension, ACTA, and lots of other maximalist positions. The RIAA, MPAA and their Canadian operations , CRIA and CMPDA, will, of course, be delighted. While freer trade with Europe may be a good thing overall, and Canada needs to move beyond total dependency on trade with the USA. the IP matrix holds little hope of anything positive for Canada overall in this exercise. Europe cannot ratchet down from its largely American induced follies that have been implemented in many cases by clever US corporate and government "policy shopping." Policy shopping is a the practice of obtaining legislation and/or treaties that would be unacceptable if initiated in the home country. However, once done, there is enormous pressure in the home country to "harmonize" to the other jurisdiction. Many believe that this is how the life + 70 Mickey Mouse term came into being in Europe, although the official excuse in the EU was harmonization to Germany's term. Canada's only hope on this issue is to somehow try to get IP off the table. However, as is Canada's custom, we seem to have agreed at the outset to negotiate on IP issues where we cannot win overall other than maintaining the status quo, which seem to have been conceded away at the outset. I cannot think of any important IP issue where Canada would make demands on the EU. However, on many important and controversial IP issues, the EU will probably force Canada into policies that will be clearly contrary to Canada's interest. I really love Leonard Cohen. He is one of the best songwriters anywhere, ever. In his weird and wonderful way, he is a great singer. And a great poet and novelist. I would be happy to pay very good money to see him on his farewell tour. Due to well known and sad circumstances involving his former manager, he now at the age of 74 really needs the money and, in any case, he absolutely deserves it. But I would not be happy to pay several hundred bucks or more for a $68 face value seat to a related reseller of Ticketmaster that somehow reportedly magically acquired virtually all of the National Arts Centre’s seats available to the public for primary sale on March 2 within seconds of their supposed general availability to the public. Cohen will see none of the obscene mark up of several hundred per cent. Even on the face value of a ticket, Cohen would see only a fraction of the proceeds after the concert hall, his management etc. are done with him. Once again, everyone profits on the back of the artist. NEW YORK -- Concert fans hit Ticketmaster with more accusations of improper behaviour yesterday after reports surfaced that the ticket giant's wholly owned subsidiary TicketsNow was selling seats to upcoming Leonard Cohen shows at wildly inflated prices even before Ticketmaster offered them for sale to the public. The real tragedy here is that Leonard Cohen is the one who deserves to retire with some comfort and to retain a significant amount of what the public is willing to pay to see him perform. He is being cheated of that. Once again, the real creator and the general public are the victims of a corporate controlled system, over which Federal officials are reluctant to exercise even basic oversight. Masood Qureshi, a senior officer with the Competition Bureau, said Ticketmaster is allowed to “charge what the market will bear." Fortunately, Industry Minster Tony Clement - who is showing some real promise of being an effective Industry Minister (cross your fingers on copyright!) - has stepped into the breach and once again effectively overruled the Bureau. This follows a reported “rebuke" of the former Commissioner of Competition, Sheridan Scott, by the previous Minister, Jim Prentice, following a Federal Court judgment that was very critical of the Bureau. (2) For greater certainty, in establishing that a conspiracy, combination, agreement or arrangement is in contravention of subsection (1), it shall not be necessary to prove that the conspiracy, combination, agreement or arrangement, if carried into effect, would or would be likely to eliminate, completely or virtually, competition in the market to which it relates or that it was the object of any or all of the parties thereto to eliminate, completely or virtually, competition in that market. So, hopefully the hundreds of well paid paid enforcers in the Federal Competition Bureau and the Federal Department of Justice can figure out whether they can stop a practice that has caused such massive outrage, and punish those responsible if the law so indicates. If they can, that might help to do something to help Leonard Cohen and the Canadian public. If the State of New Jersey can nail Ticketmaster, then it's not too much to expect the Federal Government to at least try. Bravo to Ontario AG Chris Bentley for turning on the heat and perhaps thereby prodding Minister Clement to get involved. But this is really a matter for the feds and is of concern throughout Canada. 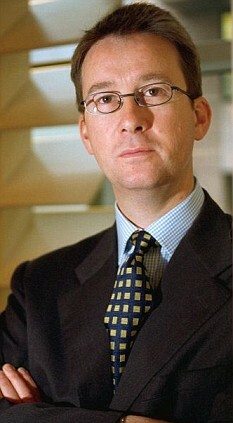 This occasion should remind Minister Clement of the extreme importance of appointing a successor to Sheridan Scott who will vigorously enforce the Competition Act, especially at a time when laissez faire deregulation and abandonment of oversight has proven so obviously to lead to excess greed and serious economic failure. The Competition Act was, at least once upon a time, seen to be a key element of the infrastructure for ensuring market efficiency, integrity and consumer protection. Leonard, I hope that this all works out. For your sake and that of your millions of adoring fans, a.k.a. "the public." The L.A. Times, which is hardly an anti-copyright publication, has a good editorial today that comes down against the Authors Guild position and Amazon's "capitulation." Innovators such as Amazon are and should be free to create devices that help consumers exploit all of the rights they obtain when they purchase books and other copyrighted material. And by the way, Authors Guild: Amazon sells e-books. The Kindle makes those products more appealing to consumers, which makes them more valuable to authors and publishers. If authors hope to compete in the digital era, they need the e-book market to succeed. Stripping features from the Kindle 2 won't help. The real issue here is that the Authors Guild is forcing Amazon, which is not exactly a weakling, NOT to innovate and to deny users' rights. The Authors Guild argument is based upon specious legal arguments for rights that do not exist. Amazon caved for its own business reasons. This is yet another example of users' rights being blocked off by TPM and DRM, imposed for "business" and not legal reasons. That's why its very difficult for most non techie people to snip out portions of DVDs for perfectly legal purposes - such as research or criticism. If antitrust enforcers ever awake from their long sleep filled with dreams that IP owners rarely if ever do more than merely enforce their IP rights, things might get better before they get worse. In any event, Canada must consider legislation that expressly enables the circumvention for legal purposes of DRM and TPM locks. Otherwise, we will sooner rather than later live in a world of perpetual copyright, with no effective fair use/dealing rights and no ability to copy insubstantial portions of works. These are users rights that have been enjoyed since the earliest days of technoloy. New legislation should guarantee these rights - not guarantee their elimination, as Bill C-61 would have done. The Tasini case is back in the US Supreme Court. It will be recalled that the authors won a victory of sorts several years ago and the US Supremes rendered a judgment that strongly encouraged a settlement so that important databases could remain intact. The Court will hear this case on the narrow point of " “Does 17 USC 411 (a) restrict the subject matter jurisdiction of the federal courts over copyright infringement actions?” Note that the section applies to US works and not foreign works. Actually, this point is potentially not that narrow because it may require deeper scrutiny of the the rather confusing registration provisions of the US legislation, which are far less important though by no means irrelevant to foreign copyright owners. The issue of the Berne Convention came up en passant in the Circuit Court. Here's a good discussion by a new blogger on US Law (at least new to me), Ben Sheffner, whose blog is avowedly "from a pro-copyright-owner perspective." I've added his blog to my blog roll. He makes a valiant but doubtlessly futile effort to draw Bill Patry back into the blogosphere on this issue. Here's another example of consumers being left out in the cold. This is a good article by an Irish lawyer, T. J. McIntyre, about EIRCOM'S (Ireland's largest ISP) recent decision to settle litigation at the suit of the music industry by casting aside the interests of its subscribers. This was a voluntary settlement, and hence not a judicial precedent. Whether it becomes and industry norm in Ireland will depend, perhaps, on how much competition there is in between the ISPs and whether the ISPs have conflicting interests (as some do in Canada) that would work against consumers. It's worth noting that in the BMG v. John Doe downlaoding/file sharing litigation in Canada in 2004 (in which I was involved), only Shaw and Telus forecefully opposed the music industry. Bell had little to say and Rogers had even less. Videotron was basically on the music industry's side. Without a shot being fired, other than some over the bow over the top op-ed rhetoric by the Authors Guild possibly based upon a fanciful and far-fetched "derivative works" theory, Amazon has caved in to the Guild on its useful new Kindle technology to "read aloud" an electronic version of a book using computer synthesized speech. Larry Lessig is scathing and makes a comparison to the Google books settlement. One of the problems with that that comparison is that that Amazon has settled here without even seeing a claim filed. "Nevertheless, we strongly believe many rights holders will be more comfortable with the text-to-speech feature if they are in the driver's seat," the company said. Once again, questions of cross ownership, vertical integration, voluntary stifling of innovation and almost forgotten anti-trust basic principles and near comatose antitrust enforcement come to mind. This is tough luck for the blind, for all consumers and for innovative technology. Amazon owes a better explanation. If there indeed is a "Kindle Swindle" underway here, it's the public interest that appears to be the most obvious victim at this point. 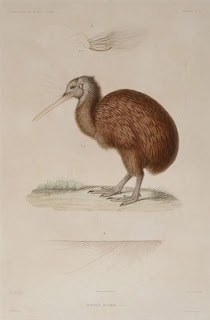 The New Zealand government's last minute decision to suspend by order in council the coming into effect of its controversial "three strikes" or "graduated response" regime is really quite extraordinary. Here's an editorial from a leading NZ newspaper entitled "Wise move to rethink internet law". Here's further recent analysis, here and here. Prime Minister John Key said today that its implementation date would be pushed back to March 27 to see if the sector can come up with a workable code of practice. “We are hoping that by that time we will have come up with a voluntary code of practice,” said Mr Key. If one could not be agreed then the section in question would be suspended, he said. It will be interesting to see if the concerned parties can come up with an "agreed" voluntary code, and if they do, whether those not directly involved in the negotiations such as consumers and academics will buy into it. Whatever happens is bound to be an instructive lesson for the UK, EC and Canada which are all being heavily lobbied by the same entertainment industry forces to enact excessive and unwise copyright protection that threatens innovation, citizens' right of freedom of expression and even basic access to the indispensable internet. Such legislative "reforms" will no longer escape scrutiny or political consequences. There are many reasons for Canada's slowness and deliberation in updating its copyright law - and not all of them are "deliberate." For whatever reason, we are starting to look wiser and wiser as other countries founder and backtrack and the former lead US government proponent of the entertainment industry approach, Bruce Lehman, recants his once strongly held views. Other renowned American experts, such a Bill Patry, also decry the pressures being brought on Canada by the USA through its corporate driven "Orwellian attempt" to inovke "the false use of piracy as a stalking horse for the DMCA." There are many reasons to update Canada's copyright law. However, false alarms and guaranteed to fail solutions disingenuously advocated by special interest corporate lobbyists in the name of "artists" should not be among those reasons. PS - the rather revealing comments of the former responsible NZ Minister and former Member of Parliament, Judith Tizard "architect of section 92a of the Copyright Act", on this unfolding fiasco can be seen here. The political lesson here reminds one somewhat of the one that can be learned from the former political career the former Canadian M.P. for Parkdale and former potential cabinet minister, Sarmite Bulte.